Welcome to REID’S READER, a site renewed fortnightly and devoted to the appreciation and discussion of books old and new by bibliophile, critic and reviewer Nicholas Reid. Each week REID’S READER offers Something New, Something Old and Something Thoughtful to readers and browsers. 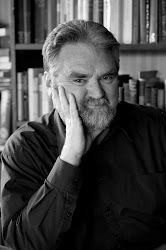 REID’S READER will sometimes feature guest reviewers and will sometimes offer general book news, but it does not run publishers’ publicity material. We would be grateful for any donation you can make by way of Paypal. Not everything worth reading is hot off the press. 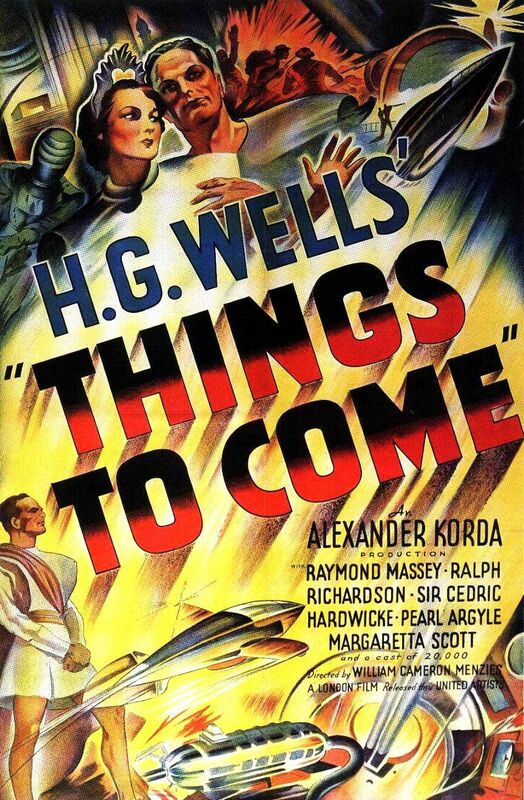 In this section, we recommend "something old" that is still well worth reading. 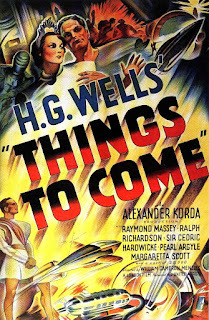 "Something Old" can mean anything from a venerable and antique classic to a good book first published four or more years ago. I had meant to do this for some time, but only recently did I find a spare couple of hours on a sunny Saturday afternoon to do it. I had meant to re-read W. H. Auden’s “Letter to Lord Byron”, one of those things I first read while doing an MA in English forty-plus years back. Was it as much fun as I thought it was all those years ago? W. H. Auden (1907-73) has always puzzled me. I have read most of his poems with pleasure. I find him urbane and witty and level-headed. The man who emerges in his poems is a very sensible man, not given to extremes, not given to fierce hatreds. I feel I have been chatted to by his poems – but chatted to by someone who has a real grasp of form and style. A technical virtuoso. BUT (ah! you knew that word was coming) these very virtues are also Auden’s defects. Auden never hits the depths, but he rarely hits the heights either. Much as I love “As I walked out one evening” (I have been known to do it as a party piece when slightly pissed), much as I love “The Shield of Achilles” and many of the later, longer and more meditative poems (“New Year Letter”, “For the Time Being,” etc. ), I am not intellectually challenged or moved by Auden as much as I am by Eliot or even crazed Yeats – to limit myself to the triad of early-20th-century English-language poets whom critics often toss about while trying to decide which is Top Poet. Auden is a companionable man – a man who can hold your attention as if he were confiding in you over a drink in a pub. T.S. and W.B. make you fly. On top of this, there’s the Big Issue about the whole Auden canon, which still has academics and contributors to publish-or-perish literary reviews bursting their boilers. The “English” Auden of the 1930s was apparently a very left-wing chap – or at least a fellow traveller. But after, in the 1940s, he became the “American” Auden, he returned overtly to Christianity (in private he had been moving in that direction for some years) and no longer had the same political stance. When his earlier poems were republished he (to the outrage of some of his earlier admirers) often re-edited them, to remove political views, which he now regarded as either fatuous or immature. To read his collected poems now is to read both the poems and the poet’s second thoughts. I remember the outrage of one Eng Lit lecturer over this. For myself, the issue doesn’t bother me… but I did have to take it into account as I sat on a bench under a tree in my back yard on a clear, blue-skied and sunny Saturday afternoon and re-read “Letter to Lord Byron”. Background – “Letter to Lord Byron” first appeared in Letters from Iceland in 1937. 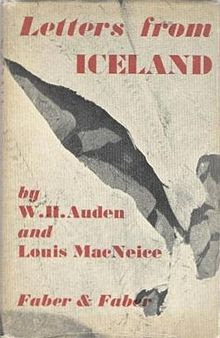 This was a book, mingling poetry with prose letters, co-written by Auden and Louis MacNeice to celebrate a summer holiday the two of them had taken in Iceland. They were an odd couple. 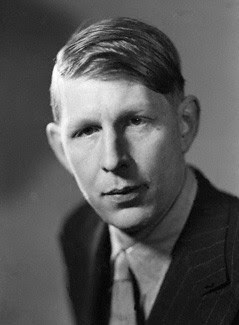 Auden was English and homosexual. 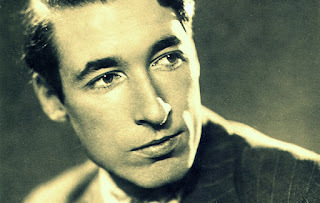 MacNeice was (Northern) Irish and a very active heterosexual. But they were good friends and both very good poets (MacNeice’s “Bagpipe Music” is at once one of the funniest and one of the grimmest poems of the 1930s). Earnest scholars have attempted to find a thematic structure to Letters from Iceland. They are wasting their time. It is a grab-bag in which the two poets clown around, write light verse, write earnest verse, go topical, go autobiographical, describe the scenery or write letters as they will. “Letter to Lord Byron”, probably the best-known piece in the book, was originally divided into five sections. But when Auden revised it in the 1960s, he reduced it four parts, cutting out what one commentator calls “literary satire, Marxist historical prophecy, and gossipy nether-worldly chat” and making it “an odd and frothy predecessor” to other long poems, which he produced in later years. I know “Letter to Lord Byron” only in its revised version, where its 158 stanzas cover 38 pages in the Penguin Longer Contemporary Poems edited by David Wright in 1965. In the opening stanzas, young Auden apologises to Lord Byron for addressing him and explains the circumstances in which he is writing. Just read Don Juan and I found it fine. Is unobservant, immature, and lazy. I don’t intend to do the thing by halves. I’m going to be very up to date indeed. It is a collage that you’re going to read. She’s treated as démodé altogether. Yet light verse provides the opportunity for poetry to be what it should most often be – fun. Auden says he is not aiming for the grand and serious style, and seeks only to be on the more modest and lowlier slopes of Parnassus. Part One, therefore, functions chiefly as a defence of the type of verse “Letter to Lord Byron” is itself offering. True to this prospectus, Part Two jumps into another subject altogether. Claiming to be dashing off his verses by writing on his knee while in the midst of a journey, Auden sets about commenting on the current political state of Britain and the inadequacy of its leaders. [It is at this point that I suspect much topical political comment was excised when Auden revised the poem]. Auden is upset by what he calls “the Dragon” – the type of messianic, world-changing rhetoric into which the politicians of his day too readily jump, ignoring the long-established traditions and mores of the country. In effect, although he does not use the term, Auden, in the late 1930s, is ironically condemning the totalitarian impulse. Those modes of thought he specifically condemns are fascist ones, but it is clear that he is not enamoured of the Hard Left either. Its antiseptic objects, feel at home. Centred round bus-stops or the aerodrome. Carnegie on this point was must emphatic. At least, if father made enough in time! The swaggering bully with the clumsy jest? Even so, plodding democracy is preferable to curently-proferred alternatives. Which, of course, raises the awkward question of how much the addressee of the letter was himself a despiser of the crowd, an enemy of democracy, a potential Nietzshean Superman. 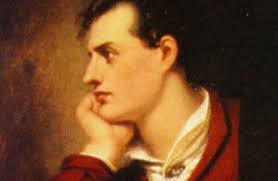 Would Lord Byron be the type of muscular adventurer who would fall for Oswald Mosley’s British Union of Fascists? So much for the political scene. Their moral and aesthetic brickbats throw. Because their life was still the same as his. It will be noted that in this, probably the most controversial section of “Letter to Lord Byron”, Auden is slyly offering an apologia for the type of verse he himself is writing – an ostensibly “private” letter, but in fact a work of self-deprecating wit in which the poet is always aware that he is addressing the broad public; and the concerns of the broad public are more important than those of the individual poet. In short, a poem of accessible public statement. Our hatred for all weeds of any kind. Goddess of bossy underlings, Normality! What murders are committed in thy name! Of faces that all look and feel the same. I’ll leave it to some more qualified person to say how much these concerns might relate to Auden’s homosexuality, covert, shameful and not “normal” in the 1930s. Cutting a few corners, this is how “Letter to Lord Byron” plays out, leaving me once again with the question at the head of this notice: Did a re-reading of it give me as much pleasure as my first reading of it forty-plus years ago? The commonsense Auden appeals to me still. Though I have never written a novel, I too think that novel-writing is a far more exacting art than the writing of poetry, and a far more daunting task. I, too, think that poetry should not be written in a closed code and should not over-emphasise the personal circumstances of the poet. If a statement of relevance to a wide readership can be found in the personal analysis, fine. But at all times poetry should be addressed to, and accessible to, the public at large. Pursuant to this, I too find tiresome attempts to dismiss the “public” poetry of Pope, Dryden and others as not being poetry at all. As for Auden’s comments on the contemporaneous political and social scene – who would not agree with his caveats? BUT (that word again!) no matter how one tries to yoke it all thematically together, this poem is (like the book it came from) a grab-bag. It wanders all over the place. You will enjoy it in bits and pieces, but to read it straight through is to weary of it. The rime royal is witty in small doses – we say how clever young Auden is to be able to joke in such an exacting metric form. We note that he often strikes a tone of dandyish world-weariness, just as his addressee often did. Then we tire of it. Wit becomes facetiousness. Who would not enjoy all the boyish and practical-joking fun of it? Who would not laugh at his nose-thumbing at some pieties? And who would not set it down saying “Enough! Enough!”? I am reminded of the piece I did on this blog, four-and-a-bit years back, concerning Alexander Pope’s Essay on Man. Very witty. Very poised. But (in Pope’s case) dulled by its end-stopped certainties and the insistent tocsin of its iambic rhyming couplets.